MY BOOK, THE MOVIE: Walter Shapiro's "Hustling Hitler"
Since I know the status of a book writer in Hollywood (somewhere between a pool boy and a valet parking attendant), I have no illusions that anyone would ever listen to my casting suggestions for Hustling Hitler. Though, in idle moments, I do imagine movie posters and TV commercials proclaiming, "George Clooney Is Freeman Bernstein." While writing my book, I did indulge in a wild fantasy about casting. In a perfect universe, I could bring back Zero Mostel to impersonate Freeman Bernstein. 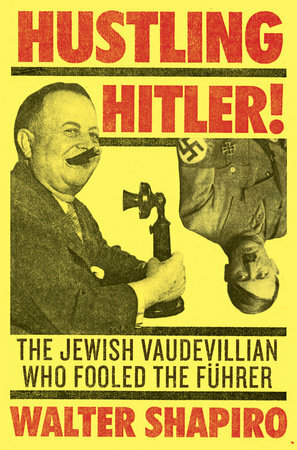 For Hustling Hitler was written to be a real-life counterpart to The Producers.